Greetings! I’m Laurie Sue Brockway, journalist and author. This website contains many memories of jobs I’ve had, stories I’ve written and people I’ve interviewed. There are plenty of samples of my work. Just click on the links above to find them. 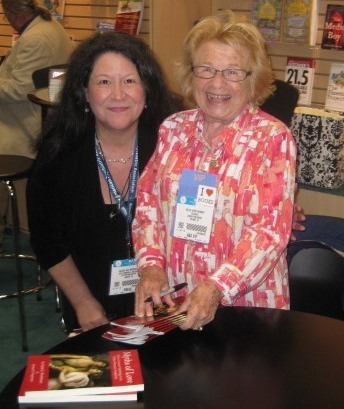 I always enjoy running into Dr. Ruth. This is a photo from 2015.